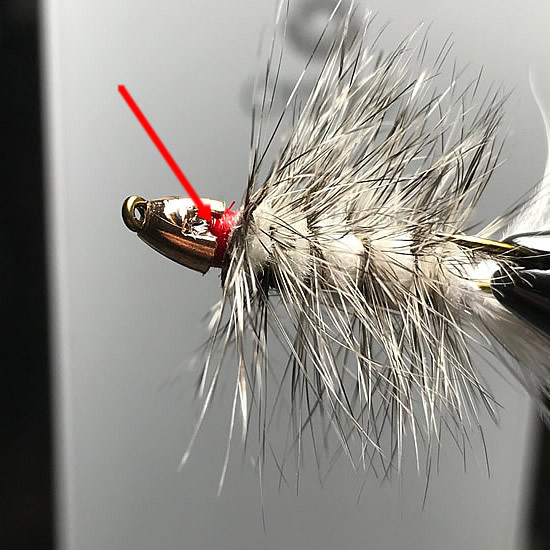 One of the most productive fly patterns ever created is the woolly bugger. It is has been used on lakes and streams to catch trout, steelhead, bass and panfish. 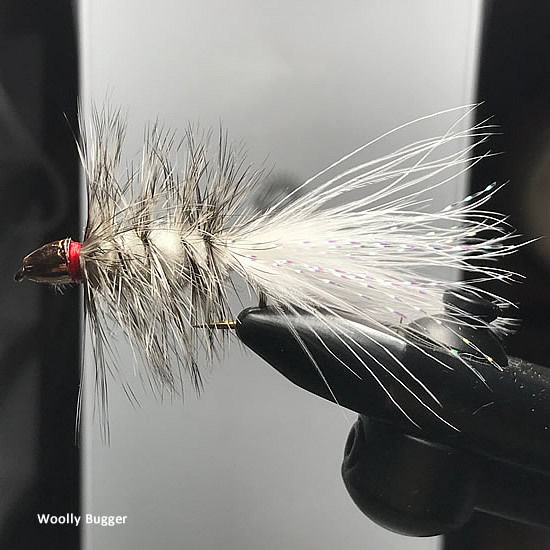 Woolly buggers represent a lot of various aquatic food forms, such as hellagramites and when fished right trout and other fish species can't resist them. 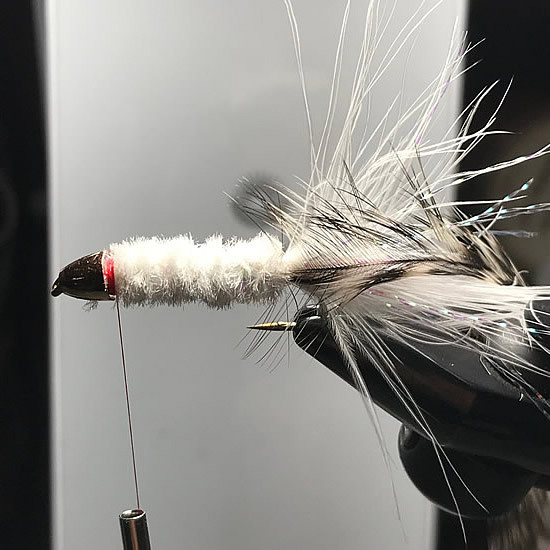 Over the years I have adapted several other fly tiers techniques to make my woolly buggers more seductive and more durable. 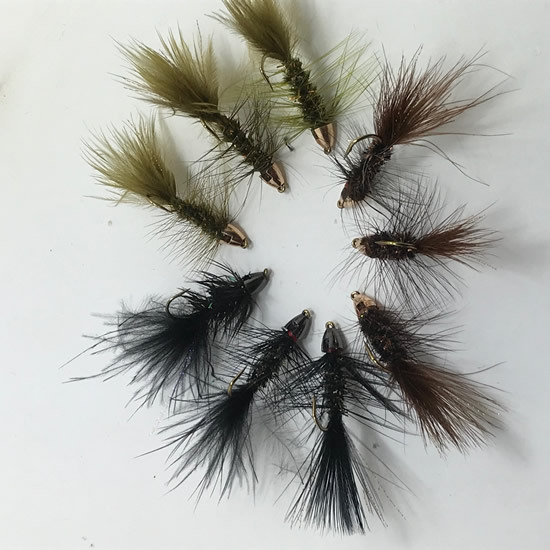 Especially in the Spring and Fall seasons I find these killer woolly buggers extremely effective when fished slow and deep in the drift lanes where trout are waiting to intercept food. 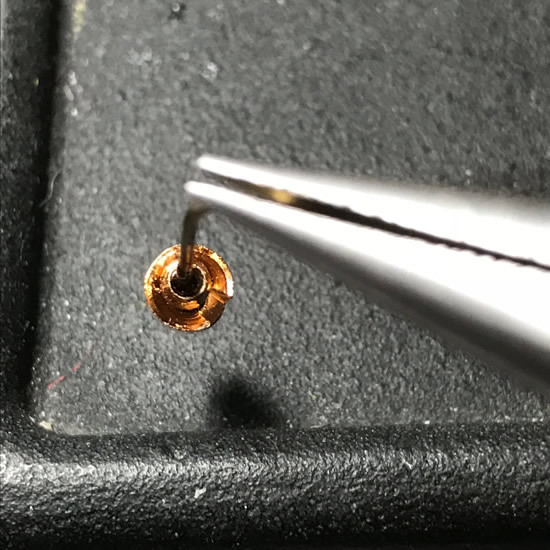 Step #1: I use a tungsten cone head bead and then I add a tungsten bead that fits inside the cone head. I buy both from CompetitiveAngler.com because they have the best quality tungsten beads I have ever used. 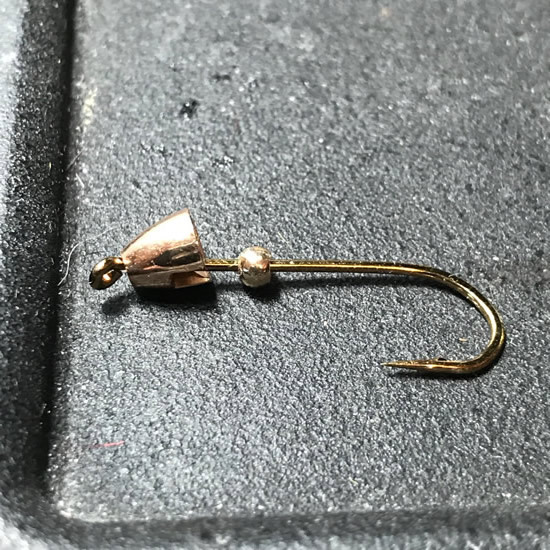 Step #2: I then fill the tungsten conehead with Loon UV Clear Fly Fisnish Thick. Step #3: I harden the Loon UV Finish with my Loon UV light. Step #4: Then tie the thread on all the way back to the hook bend. 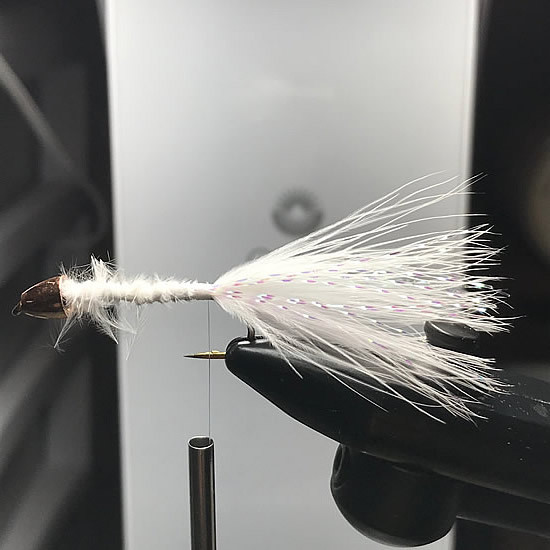 Tie on the color marabou desired for the pattern. 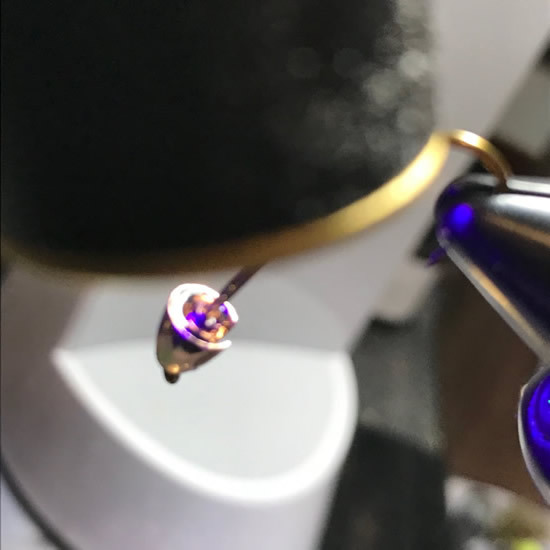 Then add 2-3 strands of the desired color of Kystal Flash, which I tie in and then fold the excess strands back over itself and secure with more thread wraps. This keeps the Krystal Flash from being pulled out by the teeth of the fish. Step #5: Tie in the long soft hackle feather and then the chenille. 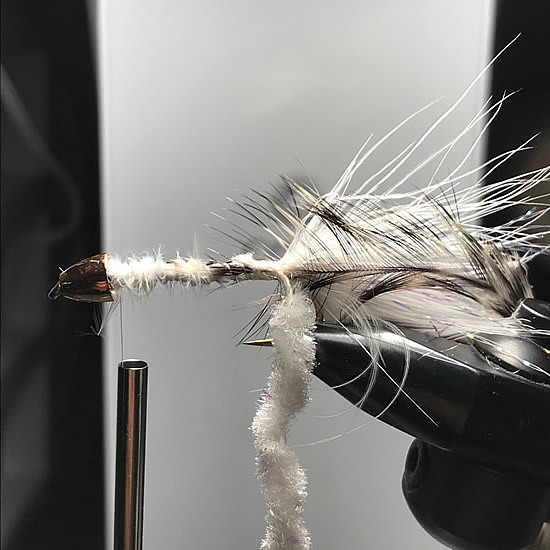 Step #7: Last, wind the soft hackle feather forward, tie off, add a few mre thread wraps and whip finish. Step #8: Turn the fly over and dap some head cement or super glue to secure the thread wraps. Step #9: My favorite colors for tying killer woolly buggers are black, olive and white.